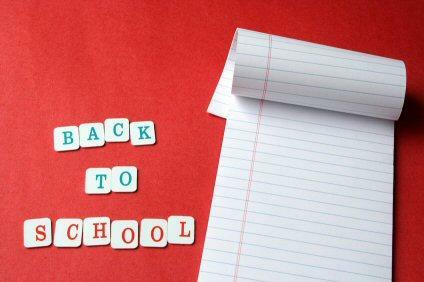 Are you looking for some back to school activities that make going back to school special? Be the most creative parent on the block with some of these ideas that will make your child think of going back to school as cause to celebrate. What kid doesn't love a great party? Help your whole neighborhood get into the back to school mindset with some of these creative party ideas. How it works: You go through your child's bookshelf and have her help you get rid of all the books that she's read and is not interested in reading again. Then you invite other kids to come over with their unwanted books. It is generally a good idea to set a range of books to bring. Five to fifteen is usually enough so that everyone gets rid of some and takes some home with them. Party Food: See if you cannot come up with some book themed food. If you're short on ideas, try Roald Dahl's Revolting Recipes. If there is a book that was made into a movie that is appropriate for your age group, consider watching the movie. Prepare some trivia that goes along with some popular reads. Give a prize to the person who knows the most answers. Actually Swapping: First have everyone draw a number as soon as they come into the party--write the numbers down and keep them secret. Then allow each child to roam the book table and choose books. They can choose as many books as their parents will allow them to take home and as long as there is an equal amount for everyone. If there is more than one child who wants the same book, the child with the highest number wins the book. A great way to encourage the school year to start out right with some additional reading! Looking for a way to calm nerves during the first week of school or to find a way to help your child make the adjustment from a summer routine to a school year routine. Consider any of the following back to school activities for a year of smooth sailing. Read a certain number of pages every week. Really, any back to school activities that will help your child do better in school is a suitable goal. Come up with no more than five goals to start the school year. Every time your child accomplishes one of the goals on his list, put a tablespoon of popcorn kernels in the empty jar. When it's filled, treat your child to a movie to celebrate a job well done! Make the first week of school special by putting notes in your child's lunch box. If it's easier, take some time out before the beginning of a busy and hectic school year, and write several notes to last through the first week or so of school. Whether your child says so or not, the extra notes will make your child feel special. Plan on making the first day home from school special with a plate of cookies and milk waiting for your child. Talk about the first day to find out how it went. Taking the time, at the beginning of the school year to promote a positive attitude for the rest of the school year, may well go a long way towards heading off future problems. It opens doors of communication and may alert you to potential issues. It also sets the tone for an exciting new school year!